You can use the size() method of java.util.ArrayList to find the length or size of ArrayList in Java. The size() method returns an integer equal to a number of elements present in the array list. It's different than the length of the array which is backing the ArrayList, that is called the capacity of ArrayList. When you create an object of ArrayList in Java without specifying a capacity, it is created with a default capacity which is 10. Since ArrayList is a growable array, it automatically resizes when the size (number of elements in array list) grows beyond a threshold. Also, when an ArrayList is first created it is called empty ArrayList and size() will return zero. If you add elements then size grows one by one. You can also remove all elements from ArrayList by using a clear() method which will then again make the ArrayList empty as shown in our examples. Here is our sample Java program to demonstrate how to find the length or size of ArrayList in Java. As discussed it uses size() method to return a number of elements in array list but it is different than capacity which is equal to the length of the underlying array and always greater than the size. The capacity is not publically exposed, as elements are added to an ArrayList, its capacity grows automatically. The details of the growth policy are not specified beyond the fact that adding an element has constant amortized time cost. You can also use trimToSize() method to trim the capacity of this ArrayList instance to be the list's current size. An application can use this operation to minimize the storage of an ArrayList instance. 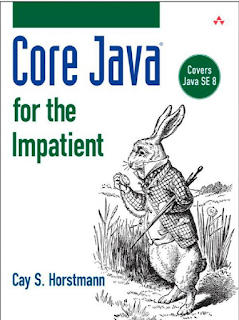 See Core Java Volume 1 - Fundamentals or Core Java for the Impatient to learn more about essential collection classes and how they work. From above example, you can see that initial size of ArrayList was zero, which increased to 3 after adding 3 elements and it finally becomes zero when you called the clear() method on ArrayList object. This method removes all elements from the array list making it empty again, so that you can reuse it.